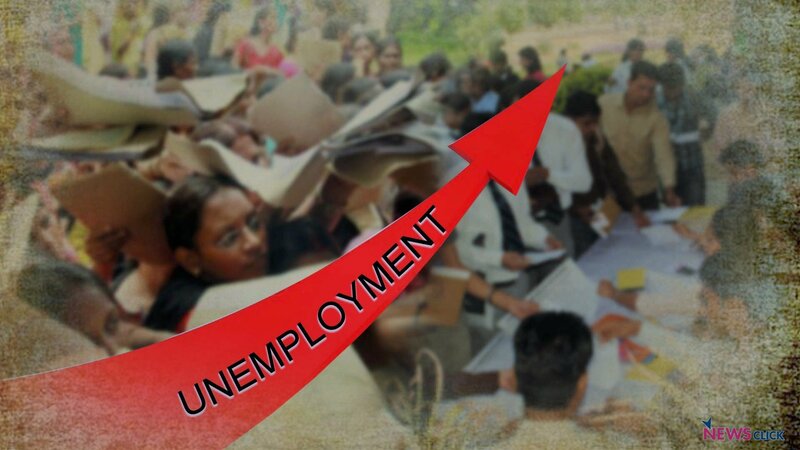 The arguments put forward by the two government advocates to disparage the NSSO’s thwarted report only serve to create a smokescreen so that any meaningful debate on unemployment becomes impossible. In 1965, P. C. Mahalanobis, who founded India’s modern statistical system, wrote a famous article titled “Statistics as a Key Technology” in the journal The American Statistician. One argument in the paper was as follows. Prior to the emergence of science and technology in the western societies over the last four centuries, decisions within most human groups were governed by “the principle of authority”. In other words, “the decision of an authority of higher status must override a decision of an authority of a lower status”. However, with the advent of modern science after the 16th century, many natural phenomena could be rationally and objectively explained through intensive scientific enquiries. This new tradition of scientific enquiry required a “patient accumulation of facts and observations” as well as the analysis of their complex inter-relationships. In this domain of science, the old “principle of authority” was undermined. Human authority became increasingly unable to challenge the findings arrived at through the scientific method. Mahalanobis led the establishment of India’s modern statistical system in the 1950s to bring India at par with the western scientific tradition. The understanding of reality in India, he believed, was not a matter to be clinched by administrative sanction or official stamps, but through the application of modern statistics. Thanks to the efforts of Mahalanobis and his successors, India’s newly developed statistical system had considerable professional autonomy (though it might not have had much administrative or financial autonomy). The statistical system enjoyed independence to choose the methodology of its surveys; to decide what should be published on which date; and to approve the results that are published without interference from “authorities”. Unfortunately, overt government interference in the functioning of official statistical agencies in the last four and a half years would make it appear as if the old “principle of authority” is making a strong return. The government, or its arm, the NITI Aayog, has come to have veto power over the release of statistical data/reports. Alongside, government officials seamlessly replace statistical rigour with anecdotal information; objective evidence with carefully constructed narratives with no evidential basis; and large sample surveys with unverified databases of private cab companies. In other words, there clearly is a collapse of reason. One case at hand for us is the National Sample Survey Office’s (NSSO) Periodic Labour Force Survey (PLFS) conducted in 2017-18. The NITI Aayog has applied the “principle of authority” and stopped the release of the PLFS report. The reason cited by advocates of the government – particularly Amitabh Kant (CEO, NITI Aayog), and economist Surjit Bhalla – has been that the PLFS is unscientific in design and not comparable with either the Employment Unemployment Surveys (EUS) of the NSSO conducted till 2011-12 or the EUS of the Labour Bureau conducted till 2015. Amitabh Kant wrote two articles in the Business Standard on February 6 and 7, 2019. P. C. Mohanan, with Aloke Kar, responded to Kant’s criticisms in the Business Standard itself (February 13 and 14, 2019). However, the attacks on PLFS have continued with no attention paid to the concrete responses from Mohanan and Kar. During the same period, Surjit Bhalla also wrote many articles; his latest salvo in the Indian Express (April 13, 2019) calls the PLFS survey a “statistical embarrassment”. This article is intended to take up each of the arguments of Kant and Bhalla in the above-mentioned articles and respond to them point-by-point. In writing down these responses, I have also made use of the responses by Mohanan and Kar. I hope that readers who are constantly bombarded with criticisms of PLFS, which are just a set of lies and half-truths, may benefit from this collation. Argument 1: The PLFS report is not yet verified; it needs peer review before release. Response: The PLFS report does not need peer review. It has been approved by the National Statistical Commission (NSC), as is the requirement for any NSSO report before its release. Argument 2: The PLFS report had neither been made available nor circulated to Kant for approval. Response: It need not be. Kant had hardly attended meetings of the NSC for over a year. The agenda notes of the NSC meeting that was to discuss the PLFS report were circulated to him, which included the item of discussion on, and approval of, the PLFS. The approved minutes of the meeting was also sent to him. Argument 3: The previous EUS and the new PLFS cannot be so easily compared. The PLFS used updated sampling techniques, new sampling frames and adopted new data collection methods. For the PLFS, the NSSO decided to radically change the sampling method to be based on educational attainment rather than household per capita consumption as in earlier rounds. As a result, a large number of households with lower educational attainment (with no member of the household having more than the secondary level of education) were missed out in the PLFS survey. Response: The effort of Kant/Bhalla, here, is to create confusion in the minds of readers. There is no change in the methodology between the earlier rounds of EUS and the PLFS. The NSSO’s sampling methodology consists of two stages. To begin with, there is a sampling frame from which the First Stage Units (FSU) are selected. The frames used in urban areas are the urban frame survey (UFS) blocks and in rural areas are the census villages. After the FSUs are selected, the Second Stage Stratification (SSS) is done, where households are drawn from the sampled FSUs. In the PLFS of 2017-18, SSS was based on the number of members in each household who had completed secondary level of education. Four SSS were formed from urban FSUs, while 3 SSS were formed from rural FSUs. The difference in methodology highlighted by Kant/Bhalla refers to the SSS. Till the stage of drawing FSUs, there is no difference between the earlier rounds of NSSO and the PLFS of 2017-18. What was the difference in the SSS stage? In the earlier rounds, SSS was done based on affluence as one stratum in the rural areas and monthly per capita consumption expenditure (MPCE) as one stratum in the urban areas. Now, does this change in the method of SSS create any bias in the sample? It does not. If the change was in the method of drawing the FSU, there might have been a case. But changes in method of SSS do not diminish comparability. Even if some groups (such as those with more education) are over-represented in the sample, they get smaller multipliers when sample estimates are blown up into population estimates. In other words, results from the earlier EUS surveys and the PLFS of 2017-18 are comparable. There is, however, one possibility. While changes in the method of SSS may not create any bias, it may affect the precision of estimates. An index of precision is the magnitude of standard error. Statisticians at the NSC are senior enough to understand the importance of this dimension and we can assume that standard errors in the PLFS report are within limits. This can be fully verified when raw data are released to the public. As Mohanan and Kar point out in their response, comparability between two rounds of sample surveys depends on (a) concepts, definitions and reference periods adopted; (b) how the sample is drawn; (c) how set procedures are followed in fieldwork. All these have remained the same between 2011-12 and 2017-18. Argument 4: A large number of households with lower educational attainment (with no member of the household having more than the secondary level of education) were missed out in the PLFS survey. Response: This is unlikely because all households in the selected village or urban block are included in the selection/sample frame. In fact, in the PLFS, two households were sampled, out of eight in all, from those households in each FSU with no member having general education as secondary. As mentioned earlier, even if some groups were over-represented in the sample, they would have ultimately received a lower multiplier when sample estimates were blown up into population estimates. Argument 5: The PLFS also highlights a fall in labour force participation rate between 2011-12 and 2017-18. Even if true, the report does not mention that this could be a result of other factors, such as increase in attendance in school and higher education. Response: Conceptually, even if the sample has more persons who are in schools/colleges, it need not raise unemployment rates. Unemployment rate is measured as the share of persons in the labour force who are looking work and did not obtain it. Persons in schools or colleges are unlikely to have reported as looking for work, and hence are likely to have been outside the labour force itself. It would have no impact on raising unemployment rates. But there is another point that Kant and Bhalla ignore. Large sections of the population do not attend higher education institutions after the age of 22 or 23 years. The leaked data on PLFS show that, between 2011-12 and 2017-18, among persons in the age group 15-29 years, (a) there was a fall in labour force participation rates (LFPR) from 44.6 per cent to 38.2 per cent; and (b) there was a two or three-fold rise in unemployment rates in the range of 13.6 per cent to 27.2 per cent. This shows that increases in school or college attendance rates, alone, cannot explain the fall in LFPRs. The reason was a lack of adequate jobs. When unemployment rates increase concurrent to a fall in LFPRs, particularly for the youth, it is a cause of great worry. Argument 6: The PLFS estimates India’s total population in 2017-18 to be lower than the EUS 2011-12. Response: That NSSO’s blown-up estimates of population do not come equal to census population figures is well known for years. This is the reason why the NSSO advises users to use only ratios/rates, so that they could be applied to census figures to get absolute estimates. So, Bhalla did not have any issues with the divergence on population data till 2018, but suddenly developed problems with it when the PLFS data for 2017-18 showed a rise in unemployment! This issue of divergence between the population figures of census and NSSO rounds has a long history. Several committees have examined the matter but not been able to resolve it. The learned view within scholars has been that the estimates of number of households from NSSO and census are comparable but estimates of population are not. One reason could be the slightly lower household size reported in NSSO rounds. Argument 7: Unemployment could not have increased between 2011-12 and 2017-18. An independent report by Brookings concluded that number of people living in extreme poverty in India has reduced from 268 million in 2011 to less than 50 million. Response: This is wrong. There are no data on poverty in India after 2011-12. Whenever studies speak on poverty after 2011-12, they are always projections. The Brookings study referred to here (see https://brook.gs/2PQ8ibM) also has projections; it does not conclude; it just anticipates. Argument 8: The sample size was too small. In rural areas, the number of households surveyed was only 55,000. Response: Accuracy of estimates is not determined by the sample size if the sample size is greater than a threshold. It is only when the sample size is small that the accuracy of estimates comes into question. Further, a large increase in sample size is necessitated only when one needs to disaggregate data beyond the level of regions. At the State-level or the national level, the sample size as in PLFS of 2017-18 is perfectly adequate. If one is still curious, what one should look for is sampling errors. These are presented in all NSSO reports. For all national level indicators, these should be within acceptable margins. One assumes they are, and all users could verify this when the raw data are released. Argument 9: The PLFS reports an urbanisation rate in 2017-18 of 29.3 per cent compared with an estimated 31.2 per cent in the NSSO’s own survey for 2011-12. This is a decline of 2 percentage points, when the reality (yielded by every other observer) is an increase in urbanisation. Also Read: Educated? Skilled? Sorry, No Jobs! Response: The underestimation of population in the NSSO rounds is larger in the urban areas as compared to the rural areas. The survey design is such that the sample selection is separate for rural and urban areas and the estimates are also prepared separately. It is quite possible that results from the NSSO rounds give different estimates for urbanisation as compared to actuals. That should not be an issue at all, as NSSO’s surveys cannot be expected to give accurate results on each and every aspect of life around us. EUS or PLFS are not meant or designed to give us estimates of urbanisation. Argument 10: Results on unemployment rates from the PLFS, when compared with earlier EUS, do not match with results obtained from other sources. For instance, data on drivers employed by Ola or Uber show a rise in employment, which does not match with the rise in unemployment rates showed by PLFS. Response: This is incorrect. Databases of Ola or Uber are not the right places to look. Most drivers employed by Ola or Uber may have already been employed elsewhere and, thus, may not represent new employment generation. On the other side, the Labour Bureau’s EUS reports till 2015-16 show rising unemployment rates. Further, NSSO’s surveys on unincorporated enterprises in 2010-11 and 2015-16 show a decreasing growth in the number of enterprises and in employment, especially for women. Still further, the surveys by the Centre for Monitoring Indian Economy also show unemployment rates of around 7 per cent, which are comparable to the results from the PLFS. All these are corroborating evidence, which show fall in employment between 2011-12 and 2017-18. In sum, the arguments put forward by Kant and Bhalla to disparage the PLFS results are baseless. They are just wild allegations against a venerated institution that help only to create a smokescreen, so that any meaningful discussion on the question of unemployment becomes impossible. What they do, in effect, is to create space for a return of the “principle of authority”, which Mahalanobis abhorred. It is, thus, also an assault on reason.